The South Sudanese army and rebel forces loyal to former vice president Riek Machar are blaming each other for the latest outbreaks of fighting in oil-producing Unity and Upper Nile states. Army spokesman Philip Aguer said they pushed back rebels who attacked SPLA positions in one of South Sudan’s main oil fields near the Unity state capital, Bentiu. "The rebels shelled SPLA positions in Unity oil fields more than 10 miles north of Bentiu town," Aguer said. "They shelled that place yesterday at 10 o’clock in the morning, and in the evening and this morning at 4." Aguer said the latest rebel attack was in clear violation of the cessation of hostilities agreement signed in January of last year. He said his office has not yet had a report on whether there were any casualties in the fighting or damage caused. Lul Ruai Koang, the military spokesman for Machar’s rebel group, said government forces started the fighting in Unity state. He said the SPLA launched attacks on several rebel-held positions because "... they wanted to recapture oil fields from our forces." “They attacked our positions in Pan-Akwach and we drove then back. And they retreated and, by evening yesterday, we took control of the oil fields," he said. Like Aguer, Koang was unable to provide any casualty figures. He said he was still waiting to get a report from the field about the fighting. Both Koang and Aguer said there has also been fighting in South Sudan's other oil-producing state, Upper Nile. Aguer said the SPLA and rebel fighters clashed in Upper Nile on Saturday. Again, he blamed the rebels for starting the fighting. "The other attack in Nasir [was] when the rebels started shelling Nasir on the 31st of December, on the 1st, the 2nd and the 3rd [of January] and there were clashes of [during] the patrolling,” he said. Two SPLA officers and six officers from the rebel side were killed in the fighting in Nasir, Aguer said. Four were wounded, and the SPLA seized six AK-47 rifles and one rocket launcher from the rebels, he said. But Koang said government forces started the fighting in Upper Nile when they attacked three rebel-held villages. The rebels drove back the SPLA from all three villages, Koang said. He said attacks by SPLA soldiers are common and are often caused by lack of discipline and structure. “They wanted to steal some cereals from the civilians and some livestock. The problem with the occupying force in Nassir is that they do not have combat service support. In other words, they lack logistics and from time to time they will venture out to go and steal food,” he said. The Anglican Bishop of Renk diocese in Upper Nile, Joseph Garang Atem, said the fighting was heavy in Nasir. He said because South Sudanese continue to live in fear of another year's fighting, many life-sustaining activies - including farming - are paralyzed. “We are depending on agriculture. Everybody go to agriculture area to cultivate and that is the hope for everybody but because of the war many people gave up because of the insecurity," the bishop said. 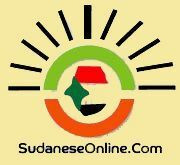 Garang said if the fighting continues, many people will face hunger. The international community has echoed that warning many times. Talks mediated by regional bloc the Intergovernmental Authority on Development (IGAD) to try to end the fighting were adjourned last month. No date has been set for them to resume.